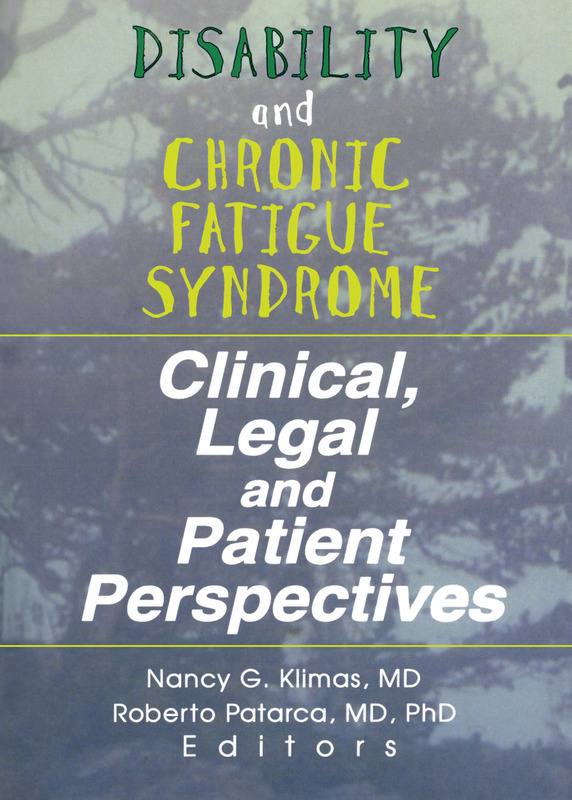 Because of the individual and varying symptoms of chronic fatigue syndrome, medical guidelines encompassing the needs of every patient simply do not exist. Through proven research and recommendations for future treatment, Disability and Chronic Fatigue Syndrome: Clinical, Legal, and Patient Perspectives discusses the difficult subject of how to diagnose disability in chronic fatigue syndrome patients, how to determine the severity of a patient’s disability, and how new disability guidelines would make more chronic fatigue patients eligible to apply for disability benefits. From this information, you will gain a clearer understanding of chronic fatigue syndrome, enabling you to more accurately assess a patient’s condition or decide if your client is eligible for disability benefits. plans by the Chronic Fatigue Immune Dysfunction Syndrome (CFIDS) Association of America to work with the SSA concerning strategies to dissolve barriers to Social Security Disability Income Benefits for patients and to advocate for up-to-date information on CFIDS in the SSA’s Listing of Impairments. Since the Social Security Administration does not currently consider a CFIDS diagnosis enough to win a disability claim, Disability and Chronic Fatigue Syndrome also contains many recommendations for improving federal disability guidelines, such as using results from functional evaluations, neuropsychological testing, and exercise endurance testing as evidence of impairment. For less severe cases, this book provides you with suggestions for rehabilitation of CFS patients before disability claims are made, including patient training and education, dependency counseling, muscular conditioning, and occupational therapy. Whether you are a patient, clinician, lawyer, or medical insurer, Disability and Chronic Fatigue Syndrome will guide you through the complex issues surrounding disability and this intricate disease.